The EMD SD9, also referred to as a "Cadillac" for the smooth, soft ride, was the builder's second model in its six-axle series and looked virtually identical to the SD7. Slightly more powerful than its predecessor and using an updated version of General Motors' proven prime mover of the time, the model 567, the SD9 was the most successful first-generation six-axle locomotive EMD produced, selling more than 500 examples (which included sales to foreign railroads). Apparently, the bump up in horsepower convinced more lines to try the locomotive. Still, the Electro-Motive Division found sales difficult with numerous future six-axle models. 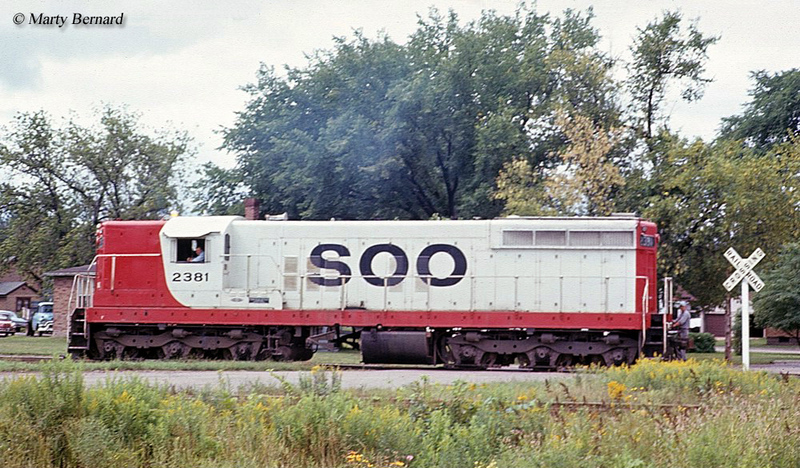 Until the SD40 was released in 1966 only the SD24 and SD35 sold more than 100 units for the company. As with many early model EMDs the SD9 soldiers on today, finding use in regular service on shortlines and industrial settings. 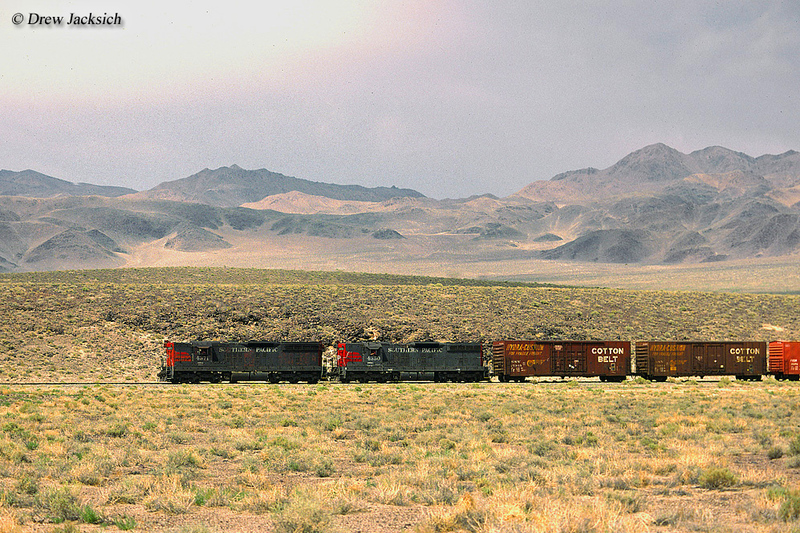 There are also several units officially preserved including Colorado & Southern #839 and Southern Pacific #5428, #5363, #5468, and #5472. 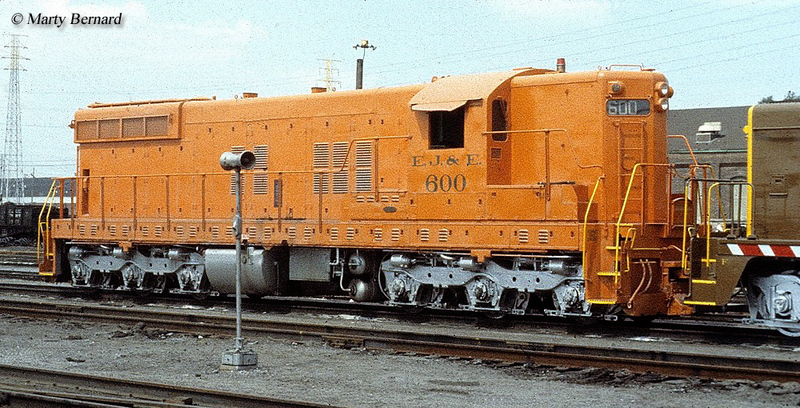 The EMD SD9 began production in early 1954, soon after the SD7 line was closed. The model used GM's latest prime mover of the time, the 16-cylinder model 567C which provided the SD9 a 1,750 horsepower rating, 250 more horsepower than the earlier SD7. Also, using GM's model D47 traction motors the C-C truck setup provided for a continuous tractive effort of 75,000 pounds (its starting tractive effort was nearly 91,000 pounds), which also closely mirrored the SD7. 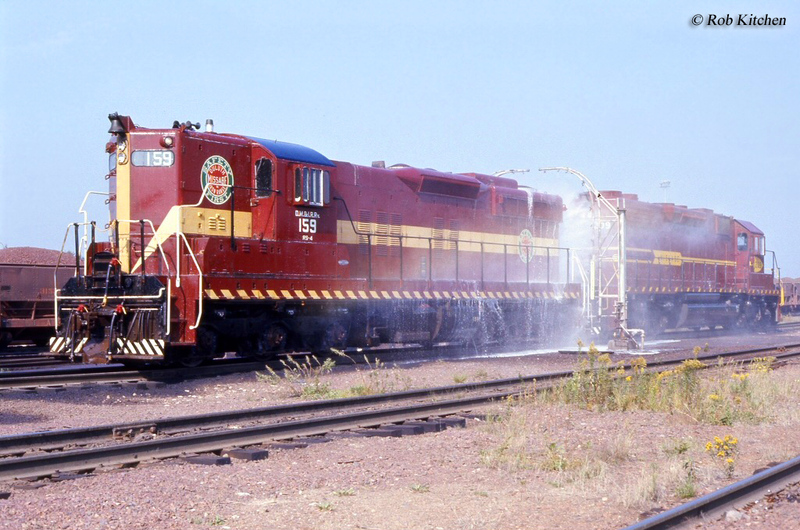 While the locomotive had the option of an added steam boiler for use in passenger service only a few railroads would include the feature with their SD9s including the Duluth, Missabe & Iron Range Railroad, Burlington, and Southern Pacific. The Southern Pacific was one of the first railroads to take notice of the extra tractive effort EMD's Special Duty line provided, especially in mountainous operations, and purchased the most SD7s by a single company. They likewise purchased the most SD9s, buying 150 of the 471 total sold to domestic railroads (another 44 were purchased by foreign lines). While the 515 SD9s ultimately sold paled in comparison to the more than 4,000 four-axle GP9s outshopped, more railroads took notice of the latest six-axle design with more than a dozen Class Is purchasing the model. Many of the companies that purchased the SD9 had also bought or tested at least one SD7. In any event, buyers included the Atlanta & St. Andrews Bay Railroad (3, numbered 503–505), Baltimore & Ohio (10, numbered 765–774), Burlington (80, numbered 325–374, 430–459), Colorado & Southern/CB&Q (23, numbered 820–842), Central of Georgia (6, numbered 202–207), Chicago & Illinois Midland (5, numbered 50–54), Chicago & North Western (14, numbered 1701–1710, 1721–1724), Milwaukee Road (14, numbered 2224–2237), DM&IR (73, numbered 101–109, 111–174 although just two came equipped with steam generators), Rio Grande (10, numbered 5305–5314), Elgin, Joliet & Eastern (3, numbered 600–602), Great Northern (27, numbered 573–599), Nickel Plate Road (20, numbered 340–359), Pennsylvania Railroad (25, numbered 7600–7624), Reserve Mining (6, numbered 1220–1225), Soo Line #2381, and SP's 150 (numbered 5340–5444, 5449–5493). Foreign lines to purchase the SD9 included Orinoco Mining of Venezuela, Korail of Korea, and Chile Exploration. Additionally, EMD demonstrator #5591 went to the Missabe Road. You can still find SD9s in service on the Algers, Winslow & Western, Nevada Northern Railway, South Branch Valley Railroad, Montana Rail Link, Port of Tillamook Bay Railroad, Black River & Western, Squaw Creek Southern Railroad, Escanaba & Lake Superior Railroad, Portland & Western, Dakota Southern, Independent Locomotive Service, Indiana Eastern Railroad, Trona Railroad, and even BNSF Railway still operates a few.